This versatile colour visualization program lets you experiment with colour before you even pick up a paintbrush. Preview colour selections, even specialty finishes, on an interior or exterior home image chosen from a pictorial library, or import images of your own home. 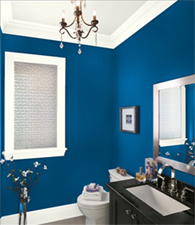 Whatever your project, Centro Paint is here to help! Our customers are also our neighbours and friends. They trust us to share our expertise and provide them with superior products and service. The staff at Centro Paint & Decor are professionals trained in our extensive line of products, and are skilled experts who can help you every step of the way with any project you have. Unlike mega-store chains, where size and volume make a poor substitute for quality and experience; at our store, you’ll be welcomed by helpful experts. Every project you have is important, which is why we’re here to work with you offering advice and providing you with the right products to make your job easier and your results professional. Come in and experience the benefit of shopping at an independently-owned store. See for yourself how personalized service and premium products truly matter. For those of you who’ve already visited our store – thank you – as always, we’re here; ready to help you with your next project. 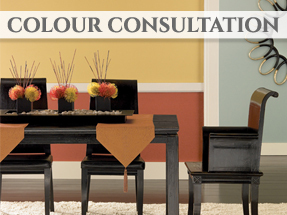 Centro Paint is a Benjamin Moore Paint store in Maple offering wallpaper and colour consultants in Vaughan, Woodbridge, Thornhill. 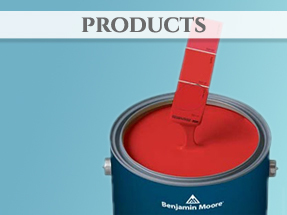 No matter where you live or what surfaces you're painting or coating, Benjamin Moore provides innovative paint solutions that ensure your success. 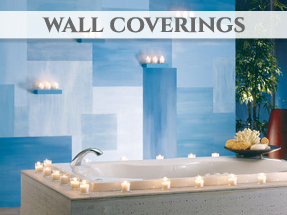 Centro Paint carries a wide variety of Benjamin Moore Paints and wallcovering for your projects!